Packaging Detail: 1.Film cover the machine. 2.Machine is packed in standard export wooden case. 3.If any special requirements, we will pack it as requested. 1. Double transducer control, flexible bag length cutting, operator needn't to adjust the unloading working, saving time and saving films. 4. 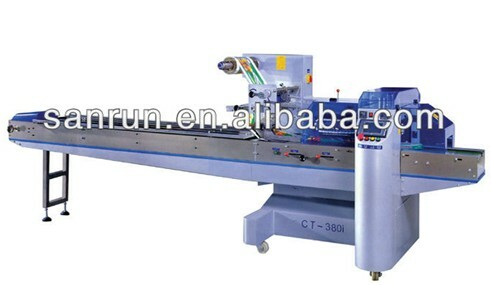 High sensitivity optical electric color mark tracking and digital input cut position which makes the sealing and cutting more accurate. Various kinds of objects with regular shape like biscuits, instant noodles, towels, bread, cakes, pies, candy, ice-cream, medicine, moon cakes, commodity, hardware, soap, industrial components, drinking straw etc. Looking for ideal Flow Packing Machine Manufacturer & supplier ? We have a wide selection at great prices to help you get creative. All the Automatic Pillow Packing Machine are quality guaranteed. We are China Origin Factory of Cookie Packaging Machine. If you have any question, please feel free to contact us.